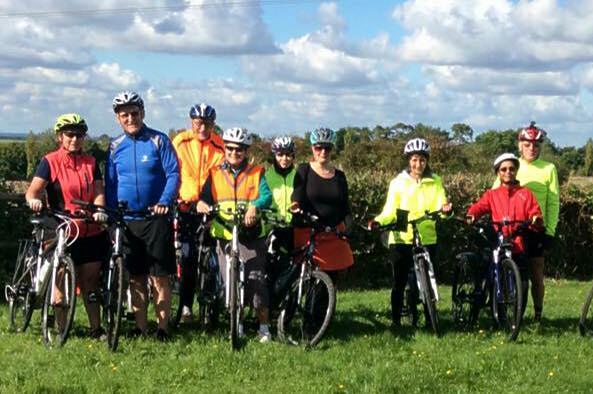 For several years we’ve been leading regular bike rides aimed at people who aren’t very experienced cyclists and don’t feel confident to go very far on their own, or who just want a pleasant social ride. If you’re used to riding long distances at a good speed there are organisations that arrange rides to suit you. Have a look at our Other Cycle Rides page to see what’s available. You’ll find details of one-day charity rides (at least the ones we know about) on the Charity Rides page. But if your wish is for something altogether easier and more relaxing, with a group of friendly and helpful people, then come on one of our rides. They take place once a month on a Sunday afternoon – usually the third Sunday of the month – during the period from March to October. See the box on the left for the rest of this year’s dates. Just turn up on the day, no need to reserve a place. If the weather is awful, we will cancel the ride, but if this happens, we’ll put a sign near where we meet. 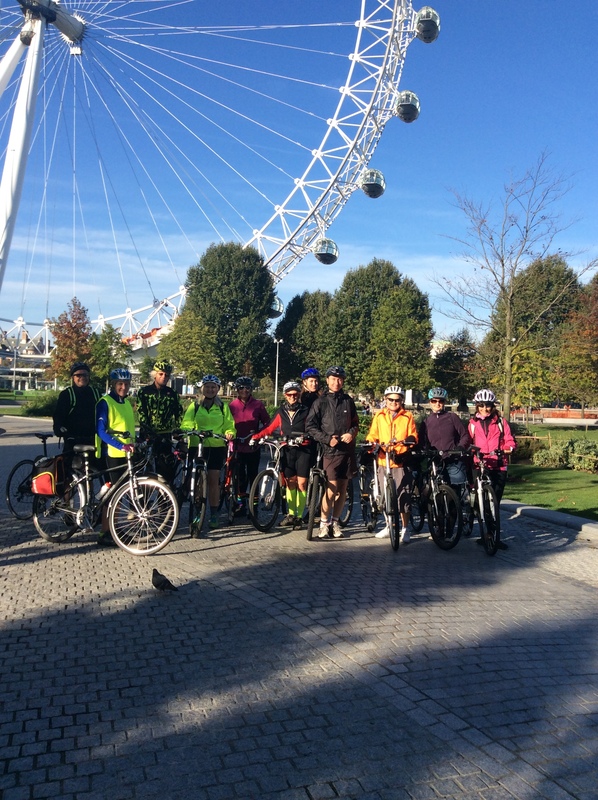 There is no charge for members of Woking Cycle Users Group and a £1 charge for non-members. The Users Group costs £5 per year to join. Ability The rides are designed for people not used to riding a bicycle any distance. If you can ride to the shops, you will be able to manage these rides. We never leave anyone behind! Route The routes will be on tracks and minor roads. The afternoon rides will be about 15-17 miles long and will take approximately 2 – 2 ½ hours. What to bring? Bike – which should be in good working order. A bottle of water. Wear suitable clothing and maybe bring a waterproof. It’s up to you whether or not to wear a cycle helmet. Lights should not be needed during the summer season. Where to meet? In the car park at Woking Leisure Centre near the childrens’ playground (where the path goes up to the swimming pool) at 1.50pm, ready to leave at 2pm. What about children? Sorry, no unaccompanied children under 15, but accompanied children are welcome provided they are strong enough to cycle at a slow adult pace. They will need a proper bike with gears and at least 20” wheels. The rides will be led by Carole Frost or other members of the Cycle Users’ Group. Want to know more about the rides? Please contact Carole by e mail on mecafrost@ntlworld.com or send her a text on 07746 394639. If you need to contact Carole on the day of the rides it will probably be best to phone her mobile on 07746 394639.